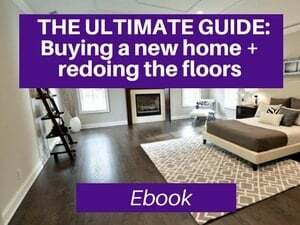 It happens like clockwork each year…after the Christmas trees are removed, the flooring takes a beating and sometimes it’s so bad that the hardwood floors need to be sanded and refinished, or the carpeting needs to be replaced. Why? The main culprit is water that gets on the flooring (from watering the tree obviously). 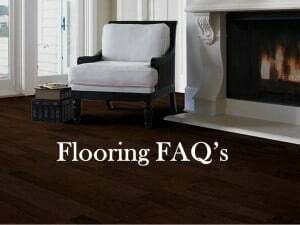 Sometimes there are sap marks or water spots; other times, the flooring is stained, cupped and/or separated and needs to be replaced. 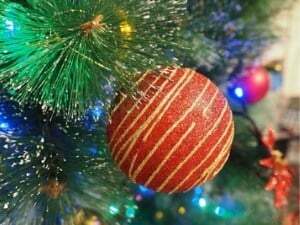 The second issue with Christmas trees is that the pine needles fall down and scratch the floors (the latter often happens when the floor is swept or sometimes when the kids or pets play and roll around). 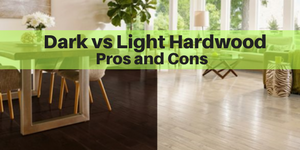 Thankfully, if you take the right precautions to protect you hardwood flooring, you won’t have to worry about refinishing them (or replacing the wood). 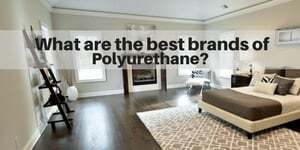 So, I want to provide some solutions on how to protect your hardwood floors and carpets so that you don’t ruin them. Prevention is the key! 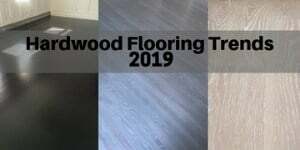 You need to be careful about protecting your wood floors while bringing in the new tree to your home, while it’s sitting in your family room, as well as when you take down your Christmas tree. 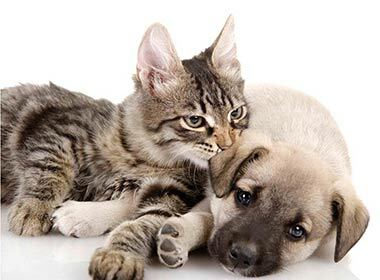 Please note that this post may contain affiliate links. You can read my full disclosure at the bottom of the page. 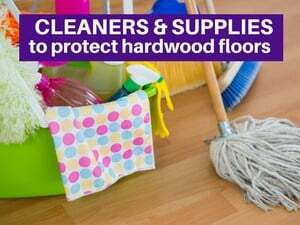 First clean your floors with a hardwood vacuum and microfiber mop (or swiffer). 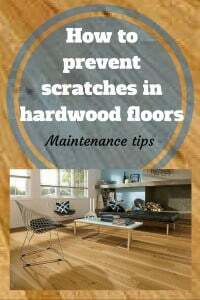 We recommend using Bona hardwood cleaner. 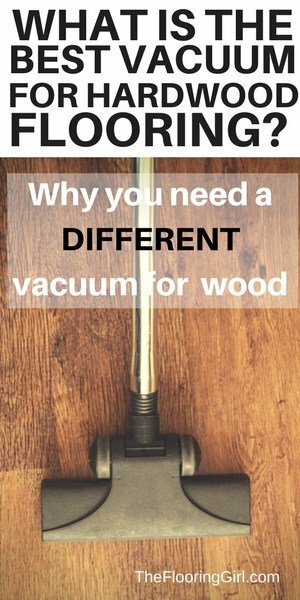 Most people don’t realize that you should be using a different vacuum for hardwood floors vs carpet…you can read more about that here: Hardwood floor vacuum recommendation and why you need a DIFFERENT vacuum for hardwood. Never use a broom. This can damage your floor, especially if you use it to sweep up pine needles. If you need any of these items, you can buy them on Amazon (below). 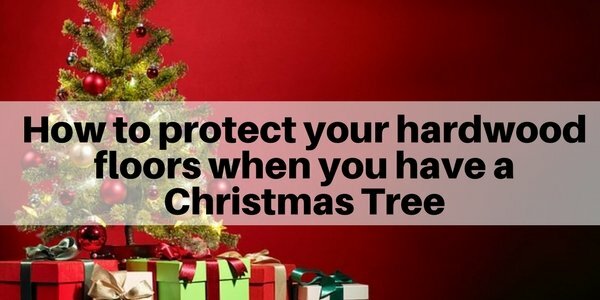 Before the Christmas tree arrives in the house, be sure to set up the stand and protect the floors. This will prevent the water (and the pine needles) from reaching the hardwood flooring and damaging the finish. The best protection is to get one of those plastic rectangular drain trays that go under washing machines. These will collect any excess water from the stand and won’t allow the water to penetrate or overflow. Then, place the tree stand in the middle of that, and then place the Christmas tree mat or skirt on top of that. This will camouflage the tray and give you an extra level of protection. 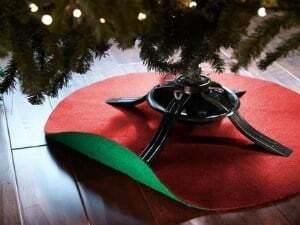 The Christmas Tree stand mat is great solution. 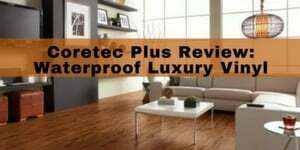 It’s designed to protect hardwood floors (as well as carpets) from spilled, leaking and soaking water and stains, as well as pine needles which can scratch the hardwood. It’s an attractive and reversible green and red mat. 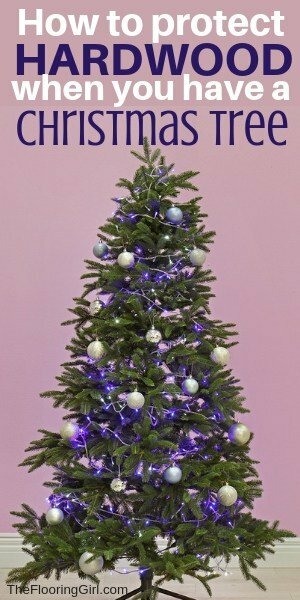 It can be used for both real trees as well as artificial trees. The stand mat is durable and easily stored, so you can use it annually. I would also recommend spending a bit more on your tree stand – don’t be penny-wise and pound foolish here. This will make your tree more stable and it will be less likely to leak when you water it. If you need a tree stand, here’s a great one you can buy on Amazon. Before you bring the tree in house, be sure to place some sort of sheet(s) on the floor from the doorway to the stand to protect the floors (and collect the pine needles that may fall). Avoid using black plastic bags here as this may cause you to slip while transporting the tree. Then, before you bring the tree in the door, shake off any extra loose pine needles so they fall outside rather than inside on your floors. Then, ideally place the tree in a large garbage bag around the tree (or cut and tape a few bags) to cover as many branches as you can. This will better protect the tree, as well as your walls (and floors). 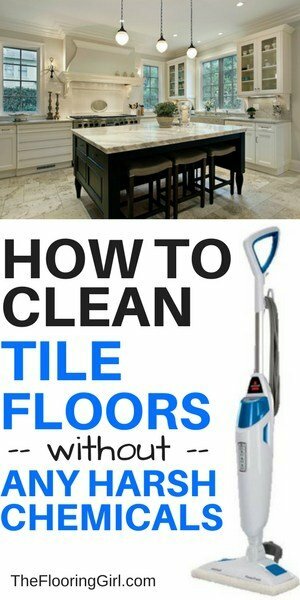 It will reduce the number of needles that fall on your floors. 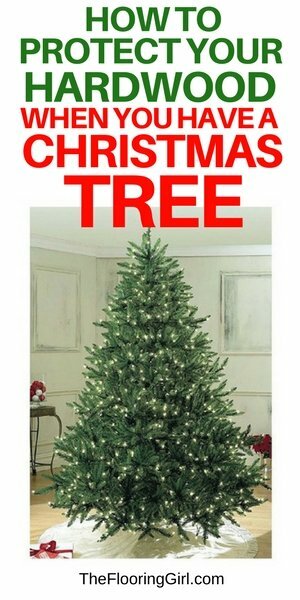 DO NOT drag the tree across the floor, even if you put it on an area rug or other “soft” item. The tree is heavy and can easily put a nice long scrape along your floor. After you get the tree in the stand, pick up the sheet(s) on the floor, shake the needles to the middle of the sheet (so they don’t fall on the floor) and empty into a garbage bag. Use your microfiber mop and/or hardwood vacuum to pick up the remaining pine needles. Be sure to vacuum and use a microfiber mop often to clear off the pine needles. The fallen needles can really scratch up your floors with your shoes, slippers, pets, kids, etc.. I’d recommend doing this at least daily (more often if needed). If you need a cleaner, use Bona hardwood cleaner. Bonus tip: Keeping the tree well hydrated will help prevent excessive needle loss. And, Miracle Gro offers a special Christmas Tree blend to further reduce needle drop. You can buy this Amazon. Be sure to place a sheet(s) from the stand to the door. This will protect your floors and collect the pine needles that will inevitably fall. 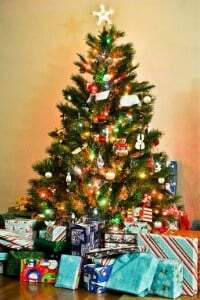 If possible, put plastic bag around the tree to prevent more needles from falling. Then, carefully drain the water out of the stand. 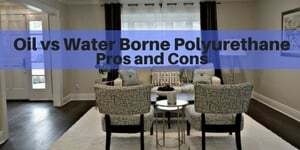 If any water spills, clean it and blot it up right away. But, hopefully all will be caught by the plastic tray you’ve placed under the stand. Afterwards, use you hardwood vacuum and microfiber mop to clean up the area. 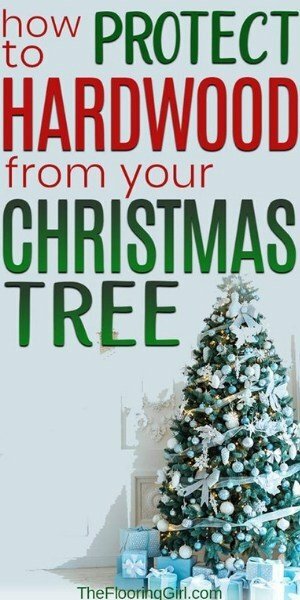 Side note: If you are planning to refinish your hardwood floors soon, I would recommend that you wait until after you remove your Christmas tree…or do the floors at least 1 month in advance of adding your Christmas tree (the floors can take up to 30 days to fully cure, so they will be vulnerable before that. 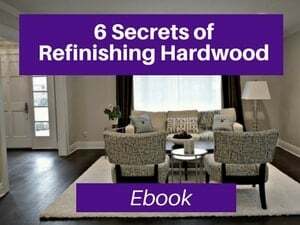 So those are my tips to enjoy your Christmas tree and preserve your hardwood flooring. Enjoy and have a happy and safe holiday. Help! – I have the stand you recommend. My son over- filled the reservoir and now there is water under the stand ( on my wood floor- I wish I found you before I put up my tree!). The tree is 2.85 meters tall. What should I do??? ? Ashley – Oh I’m so sorry to hear this. And, I’m sorry for the delayed response. I guess I missed this comment. 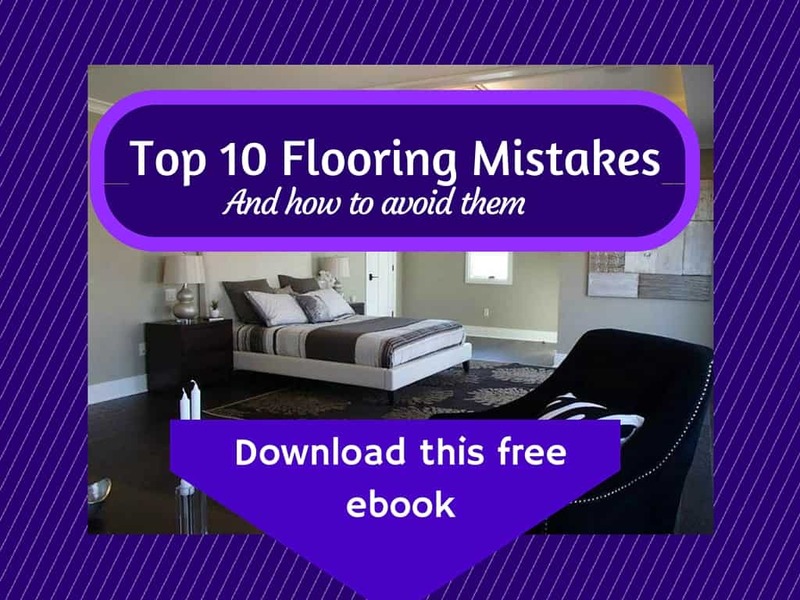 Obviously, you need to be careful with water…that’s the worst thing for hardwood floors. So, hopefully, you cleaned that up right away..even if you had to move or take down the tree. The idea is to have the extra protective layer underneath so if you do over water it, it will catch it. So, try to get all the water up and fully dry it. Take any other cover off so that it can full dry out and then you can put it back.